He comes from a family that seems to have received more than its share of musical talent, but Eli Marcus is not content to rely on good genes and his well known relatives, uncle Avraham Fried, cousin Benny Friedman and brothers Shmuli and Bentzy Marcus, to make a name for himself. Eli Marcus is carving his own niche in the annals of music history one performance at a time. 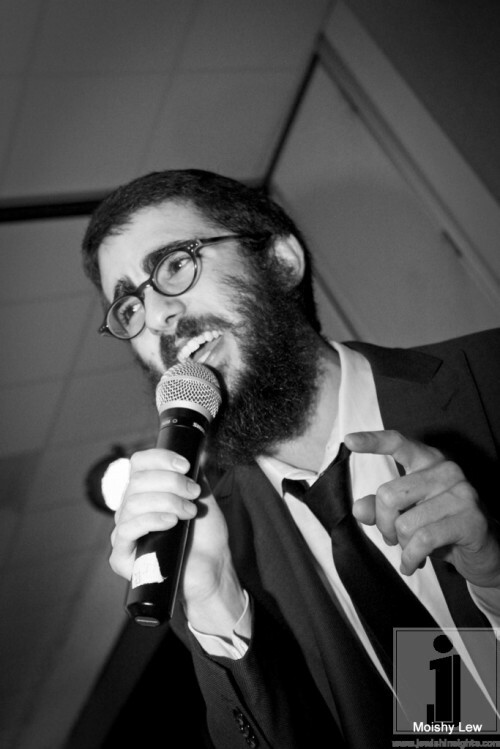 Not only has he been featured as a vocalist on Benny Friedman’s Taamu, he contributed as both a musician and back up vocalist on both 8th Day’s Tracht Gut and Brooklyn albums. Additionally, Eli Marcus is a popular singer on the wedding scene, having sung at over one hundred weddings in the past two years alone and has made numerous other appearances nationwide. Eli Marcus has recently signed with Newmark Productions, who will be representing him and managing all his bookings. To book Eli Marcus for your event, contact Avi Newmark at 516-619-6119 or email avi@newmarkproductions.com.